Today was so much climbing that felt like it would never end. 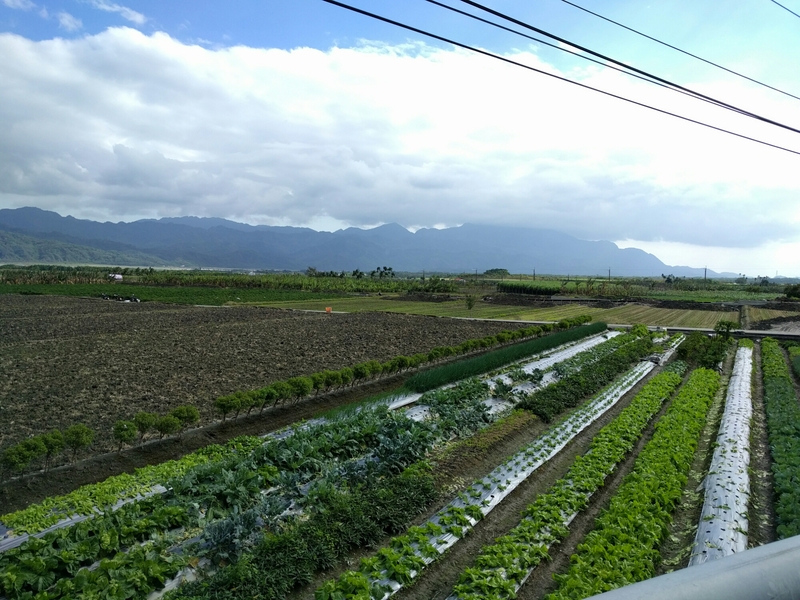 We biked south from Doulan along the coast to Taitung then did a huge u-turn over a ridge on Highway 11 prime and county road 197. The county road was beautiful and sparsely trafficked but was a massive climb. We finally called it quits at the first opportunity and cut to the flat highway 9 in the valley. Continuing onwards we faced a rude awakening that we now had a brutal head wind and we were heading up valley. After making it to the next town, Guanshan, we hopped a train for a few stops to make it to Loushan before they closed for the day. Loushan Village practices organic farming and makes a tofu with water from mud volcanoes. I wanted to eat their tofu. A fortuitous wrong turn sent us up another massive hill topping out at an even higher elevation than the first. 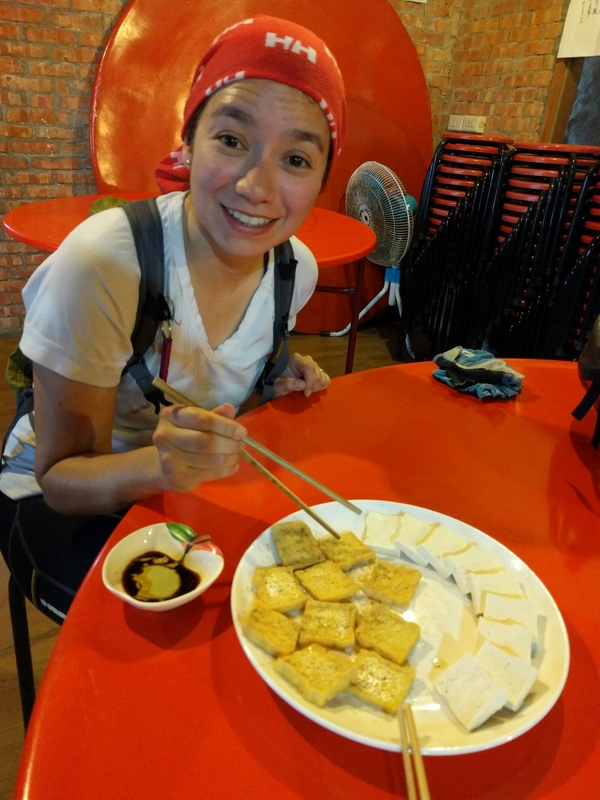 But, at the top we found home-made tofu and a visiting google local guide who spoke English. We ended up with a combo plate of soft tofu sashimi style that you dipped in soy sauce and wasabi and amazing fried tofu flecked with a bit of pepper. It was so amazing and that we had a second plate before our long descent (digestion time). We also stopped at a nice fish pond on the way out with views of the large Luoshan waterfall. Another 15 km took us to Antong Hot springs to finish out the day at the Antong Hot Springs Hotel. The room is meh and the bathroom is a bit gross, however, the outdoor hot spring pools are amazing. There are massive angled jets that provide a back massage and pipes that drop water two stories on to you for a hard pounding. Rob and I spent over 2 hours in the pools. It felt so wonderful. Hopefully the muscles will be fresh for tomorrow.